No matter how many times we hear about the importance of brushing, flossing, and scheduling dental appointments, we still struggle when it comes to good oral health routines. There are many factors involved when it comes to putting dental health on the back-burner. Think about dental health compared to weight loss. If you eat processed foods and don’t exercise for even a few days, your body starts to show it. You notice more belly fat, more difficulty during cardiovascular exercises, and a higher number on the scale. With dental health, though, bad practices don’t necessarily show up right away or obviously. Harmful plaque is building and effectively eroding your gums and jaw bone, but you don’t necessarily see this process in action. You can’t just weigh your gums on a scale and determine whether they’re healthy. Similarly, you can’t really see the enamel of your teeth eroding after you drink a few sodas. It’s more subtle and gradual than weight gain. When the effect of bad oral health care isn’t readily observable, it becomes much easier to ignore. At First Hill Dental Center in Seattle, we’ve noticed that our patients don’t necessarily respond to the reality that preventative dental care is preventative health care. It’s hard to see that healthy teeth translate to an overall healthier body. The economic argument tends to be far more persuasive. Indeed, patients who struggle to maintain a good oral health routine — brushing, flossing, rinsing with mouthwash — and avoid the dentist end up paying thousands more in dental care over time. According to the 2013 Survey of Dental Fees from the American Dental Association, patients spend far more on emergency or invasive procedures than they would on preventative dental appointments. In addition to costly emergency dental procedures, like root canals and tooth removal, bad oral hygiene also leads to an increased need for cosmetic dental procedures. If your teeth are decayed or discolored, you might need to invest in porcelain veneers, laser teeth whitening, or other oral surgery procedures. While these treatments can certainly help, it’s better to avoid the need for them in the first place. When you schedule a dental appointment, you don’t just get your teeth cleaned. Indeed, at First Hill Dental Center, all of our general dental appointments involve a professional teeth cleaning, x-ray, and oral exam to check for cavities, gum recession, or any other signs of poor oral health. Cleaning — a dental hygienist will clean your teeth with an instrument called a scaler (the small hook-like device) in order to remove plaque and tartar that have built up around the gum line. After cleaning and loosening this harmful plaque, the dentist will polish your teeth to make the surface smooth and plaque-free. Finally, your dental hygienist will floss your teeth and focus on those hard-to-reach areas that even the most avid flossers amongst us miss. Examination — once your mouth has been thoroughly cleaned, the dentist will perform the dental examination. They’ll check out your gums, jaw, neck, and bite to assess your general oral health. In terms of your teeth, the dentist will focus on any obvious signs of decay. For your gums, the dentist will assess whether your gum line is swollen or receding. Depending on your specific needs, your dentist might take X-ray images or make impressions of your teeth. It’s far more effective — and cost-effective — to schedule routine dental appointments rather than wait for signs of dental issues to appear. During your examination, the dentist can identify potential dental issues before they become full-blown problems. Save yourself time, money, and invasive surgeries. Schedule a general dentist appointment today. 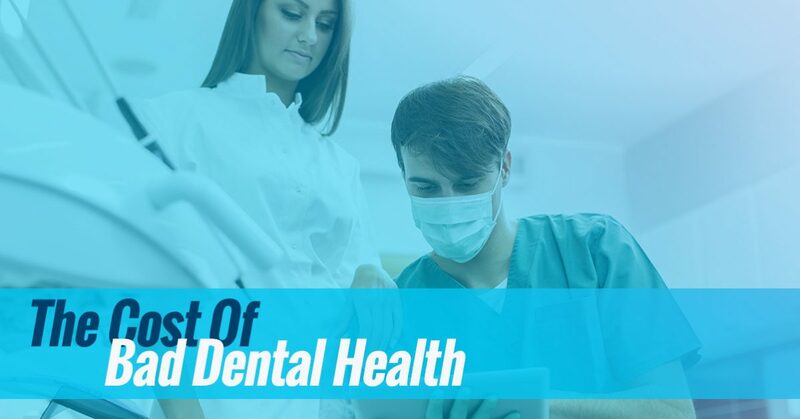 At First Hill Dental Center, our team will perform a professional cleaning, conduct a preventative examination, and offer individualized oral health care strategies that work with your health needs. Give us a call today to schedule a dental appointment in Seattle!